For "the rest of the story"
Subscribe to "Joyce Clark Unfiltered"
Joyce Clark is a 49 year resident of Glendale. She has a BA in History and Education and graduated from the College of Notre Dame of Maryland. Her past careers include teacher of high school history, small business ownership of a book store, a professional ceramist and was the founder of a retail craft gallery. Joyce and her husband, Charles, have three children and seven grandchildren. Joyce was first elected as your Yucca district Councilmember in 1992 and served Glendale and the Yucca district from 1992 to 1996. Joyce took a four year break from public service when her mother was diagnosed with Alzheimer’s to personally care for her. In 2000 she successfully ran again for Yucca district councilmember as a write in candidate against the incumbent. She is the only candidate in Arizona to achieve a write in victory over an incumbent. She was your voice for the Yucca district for 16 years. Joyce retired in December, 2012, and as a private citizen Joyce did many of the things she never had the time to pursue. Two of those are the tender care and feeding of her koi pond and blog writing on issues in Glendale, Arizona. In March of 2016, Joyce announced that she would leave retirement and run for the Yucca district council seat in Glendale. Once again Joyce defeated an incumbent and on December 13, 2016 she took office as the Yucca district councilmember for another four year term, ending in December of 2020. Joyce is the only elected official in the State of Arizona to have defeated an incumbent as a write-in candidate and then to defeat a second, different incumbent as a candidate. It has been 17 years and 263 days since the city’s pledge to build the West Branch Library. At its annual August retreat, the Library Advisory Board supported the concept of a manufactured or modular library building at Heroes Park in the Yucca district (west Glendale). Bless their hearts for their moral compasses were in the right place with their recognition that the Yucca district is sadly lacking in amenities, such as a branch library, found in other areas of the city. If you have noted at the beginning of every blog I announce how long it’s been since the city promised to build a west branch library in the Yucca district to serve west Glendale. The count as of today is 17 years and 263 days. I am tamping down my anger at the concept of a glorified trailer as our west branch library. I understand the city is feeling guilt over never having built the west branch library but offering a sop to the citizens of west Glendale is, in truth, insulting. Where, oh where, will we put the Dale Chihuly type art? Or the Magic Doors opening into the magical children’s reading room? Foothills library (Cholla district) patrons received a building replete with original art to enjoy during their visits. Oops, I forgot. Foothills Library is in former Mayor Elaine Scruggs’ district. Yucca district seems destined to remain bare bones. After all, that’s always been what the city has decided west Glendale merits. Except. Except… wait for it…an arena “destined “to propel former City Manager Ed Beasley and former Mayor Scruggs into the national limelight. 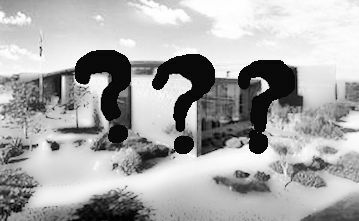 Otherwise when it comes to the Yucca district the city always falls back on the rationale that “there is no money.” That excuse only comes into play when a major city building for the use and enjoyment of its citizens is proposed for the westside of Glendale. It isn’t a consideration when approval is given to build a $50 million dollar plus parking garage at Westgate to satisfy the demands of the Bidwills. The lack of amenities for westside Glendale residents is appalling and has been for many years. Of the 58 small and neighborhood parks (10 acres or less) owned by the city only 5 of them are in the Yucca district (the district’s east boundary is 75th Avenue and west boundary includes all incorporated west to Sarival Avenue; Northern Avenue on the north and Camelback Road on the south). Of those 5 parks, 3 are joint city/school neighborhood parks with limited hours of access during the school year. They are: Desert Mirage Park at 87th Avenue and Maryland Avenue; Discovery Park at 79th Avenue and Maryland Avenue; and Orangewood Vista Park at 79th Avenue and Orangewood Avenue. Two neighborhood parks are entirely city owned: Pasadena Park at 87th Avenue and Pasadena Road and Sycamore Grove Park at 86th Lane and Emil Rovey Parkway. What about Community Parks of 10 to 80 acres? Don’t look for any, for there are none in the Yucca district; in the only district that has large portions of vacant developable land. Of the 6 Regional Parks in Glendale there are 2 listed Regional Parks in the Yucca district: the Grand Canal Linear Park and Heroes Park. Let’s take a closer look at both. The Grand Canal Linear Park was built with the city kicking and screaming all the way. It is part of the Maricopa County Flood Control District and the county district paid the lion’s share of its construction. If the County had not initiated the project there would be no linear park. Heroes Park contains a splash pad, 4 basketball courts and rental ramadas…that’s it. The majority of the land in that park grows a wonderful annual crop of tumbleweeds. Forget the X Court (skateboard facility). It was closed years ago. Gone is the Master Plan that included baseball fields, a dog park, a west branch library, an urban fishing lake and a recreational center. None of those have been acknowledged for years. Look at the proposed temporary archery range. Have you seen it? I haven’t. If for no other reason, the city should be providing amenities in west Glendale to encourage development in this slow economy. What employer wants to locate in an area where there are few, if any, amenities for its employees who wish to recreate close to where they live and work? An employer, in order to attract top quality employees, relies upon its location within a city and what a city offers in terms of recreational and cultural opportunities to potential employees/residents. The lack of amenities can be the deciding factor between Glendale and any other Valley city. 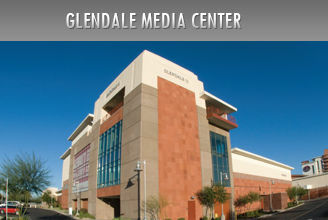 more sense is to utilize the mostly empty Glendale Media Center at Westgate. The first floor contains all of the city’s media facilities and equipment and should remain. But there is the second floor and third floor, underutilized, that could make one heck of a west branch library. It would be sited where it would enhance the existent surrounding development. How about parking you may ask? As for parking, there isn’t adequate parking at Foothills Library and it doesn’t appear to be a detriment. A west branch library facility could use the parking garage at Westgate by offering library patrons vouchers for parking. It is a city owned parking facility run by the Renaissance Hotel but it is our facility and we do set the rules for its use. This library site would require either an enclosed elevator or escalator on the outside of the building thereby removing the need for the general public to access the media facilities located on the first floor as well as preserving as much space as possible for library use. Certainly the the retrofit would be on par for a “trailer” whose destiny is to morph into an insufficient library. Libraries of the future will be different from those of the past. A west branch library at the Media Center should be heavy in two areas that reflect that: technology and lots of it (with media equipment on the first floor it seems that its fiber optics would be first rate); and the children’s area. Up to the minute technological access is critical. Libraries are our best and greatest system of introducing books and the habit of reading to our youngest little ones. It is a habit to be encouraged. Childhood literacy is the foundation of a well educated work force. Then what about Heroes Park? Do we continue to allow it to languish and grow annual crops of tumbleweeds? No. Two major amenities must be built there and not in another 20 years. It is time for the city to commit its resources to this park. One is an Urban Fishing Lake. The other is a Performing Arts Center/Art Gallery/Art Center which would be within easy access of the Loop 101. A performing arts center/art gallery/art center is an amenity that Glendale has sadly lacked for many years. It is an amenity that helps to define the very character of a great city. It is an amenity that fosters “community.” It is an amenity that this council needs to plan for and build…now…not 20 years from now. We’ve tried turning the city into a sports mecca and failed miserably. Why not focus our time, talents and resources into creating a point of pride that will be useable and available to all of Glendale’s residents? It’s time to turn Heroes Park from a dusty, woe begotten piece of derelict land into a site of cultural vitality for all of the people of Glendale. It’s time, long overdue, to mete out some justice and equity for the people of west Glendale. This site contains copyrighted material the use of which is in accordance with Title 17 U.S. C., Section 107. The ‘fair use’ of any such copyrighted material as provided for in Section 107 of the US Copyright Law and who have expressed a prior interest in receiving the included information for research and educational purposes. For more information material on this site is distributed without profit to those who have not always been specifically authorized by the copyright owner. We are making such material available in our efforts to advance understanding of environmental, political, human rights, economic, democratic, scientific and social justice issues, etc. We believe this constitutes a go to http://www.law.cornell.edu/uscode/17/107.shtml. If you wish to use copyrighted material from this site for purposes of your own that go beyond ‘fair use,’ you must obtain permission from the copyright owner. You have hit the proverbial nail on the head. Foothills got all the goodies because the Mayor and City Manager lived in the area. I think your idea of using Heroes Park is a great idea. I hope the City is listening. Maybe somethings where missed here? There is no parking during large events, it’s very hard to get to the site during events, the hotel owns or has an agreement with the 3rd floor and Westgate doesn’t want it there! So just a suggestion maybe a GoPro camera and Adobe software would work just fine considering 9 of the top shows are using them in certain edits of the show! then we would be out like $600.00 or $700.00 bucks! instead of a hundred thousand or so. Copyright © 2019. Joyce Clark Unfiltered All rights reserved. | Powered by WordPress | tpSunrise theme by Tekpals.